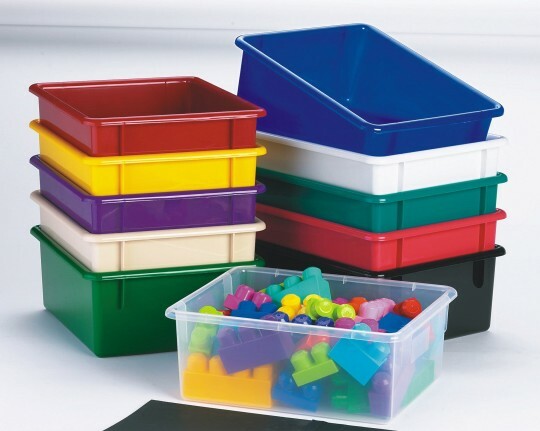 Measures 11" x 13-1/2" x 5-1/4"
Plastic Storage Tubs. Impact-resistant, dishpan-size plastic tubs. 11" x 13-1/2" x 5-1/4". 1 lb. Please specify red, blue, yellow, green, white, clear, almond, purple, teal, berry or black when ordering. Use in Sunday School Classroom young children.